"Soundingbreaking: Stories From the Cutting Edge of Recorded Music" is the new eight-episode PBS series that takes a look at the recording side of music. The series takes you behind the scenes in studios with music artists as they explore the world of record making. The special will combine music artists, producers and innovators with rare archival studio footage and an extensive musical soundtrack, to deliver a wide-ranging series on the art of music recording. The 8 episodes feature more than 150 original interviews including: Paul McCartney, Ringo Starr, Joni Mitchell, Roger Waters, Roger Daltrey, Linda Perry, Barry Gibb, Elton John, Debbie Harry, Quincy Jones, B.B. King, Annie Lennox, Dave Stewart, Mark Knopfler, Tom Petty, Willie Nelson, Bonnie Raitt,Lindsey Buckingham, Rosanne Cash, Don Was, Steven Van Zandt, Sheila E, Questlove, Ben Harper, Billy Idol, Beck, Imogen Heap, Darryl McDaniels, RZA, Bon Iver, Nile Rodgers, Nigel Godrich, Q-tip, Brian Eno, Mark Ronson, Rick Rubin, Tony Visconti and more. 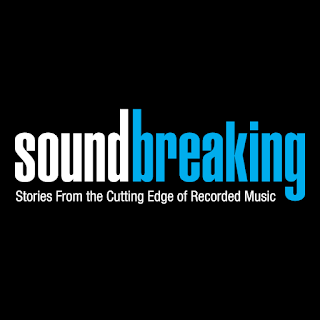 “Soundbreaking” premieres on PBS on Monday, November, 14. Check your local PBS station’s schedule for dates and times. The episodes will stream on PBS.org the day after they air.